FANTASTIC, UPGRADED TURN KEY RANCHER!! NEW KITCHEN WITH GRANITE AND STAINLESS STEEL APPLIANCES, NEW TILED BATHROOM, NEW LAMINATE FLOORING, NEW TILE, NEW CARPET, FRESH PAINT, NEW LIGHTING AND MORE!! Ready to visit 708 Woodfin? Request a free property tour! Send me more information about the listing at 708 Woodfin, Newport News, VA 23605, MLS# 10239916. 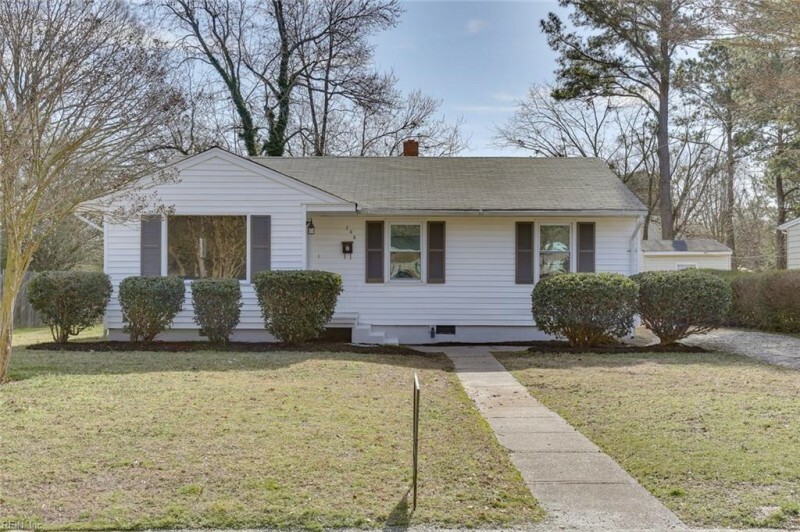 This 3 bedroom, 1 bathroom home located at 708 Woodfin, Newport News, VA 23605 has approximately 1,006 square feet. It is currently listed for $129,900 and has a price per sqft of $12,913. This home is currently Under Contract under the MLS#: 10239916. This listing is provided by Benham Signature Properties. 708 Woodfin Road, Newport News was built in 1957. It has Driveway Spc parking.The kitchen includes Dishwasher, Microwave, Elec Range, Refrigerator. 708 Woodfin is part of the Stratford Terrace - 198 neighborhood located in 23605.